20 years old, 20 per cent down on a house. It’s possible! Imagine being just 20 years old and putting down a full 20 per cent — $68,000 — on your first condo. Plus, you have cash left over for closing and moving costs, even some money for decorating. At 20 per cent down, you don’t even have to pay for mortgage loan insurance. Victoria-based mortgage broker Kam Brar’s client did it — the young man saved money ever since he started working at age 16, always living rent-free with family. “He defies the Gen Y rules,” says Mr. Brar. 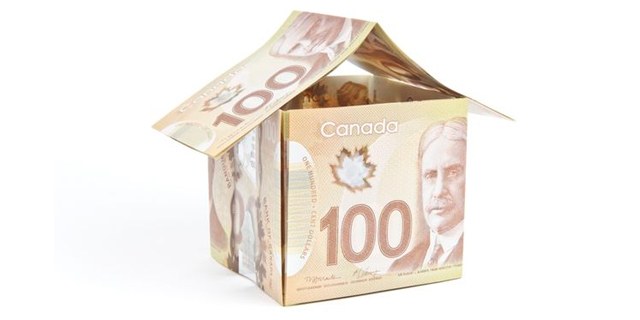 While this young super-saver is exceptional, anyone looking to buy these days, when the average house price in Canada hovers around $475,500 according to the Canadian Real Estate Association, must be similarly disciplined. “People have to twist themselves into a pretzel to get themselves into houses,” says Moshe Milevsky, a finance professor at the Schulich School of Business at York University in Toronto. As well, stricter rules from governments and banks mean it is tougher than ever to qualify for a mortgage. “I find people are used to it,” says mortgage broker Paul Poirier, who is based in Vaughan, Ont., of today’s hefty down payments. Here is how to get into that first home. Some government and bank programs help new buyers with small savings get into the market. Once, zero-down mortgages were everywhere. Today, Mr. Brar says they are very rare and earmarked for high-income buyers with no savings yet, such as recent medical-school grads newly making a hefty doctor’s salary. They are now often called a flex down payment: You separately borrow the down payment from either your lender via a loan or from a line of credit, or from a separate entity. Another option is a cash-back mortgage offered by some lenders. You do need to have a down payment, but you get a percentage back once the mortgage closes, which can be used for anything from closing costs to helping pay back the mortgage faster. However, they may come with higher rates. The best program remains the Home Buyers’ Plan, which allows you to withdraw $25,000 from your registered retirement savings plan (RRSP) for a down payment, with 15 years to pay it back. Mr. Brar says housing values have been rising faster than investment returns of late, so the money might earn more in real estate anyway. “You’ve saved yourself money on two fronts,” says Mr. Brar, as having the biggest down payment possible saves you in interest. The only catch: making sure you both pay back your RRSP and make new contributions, so you continue building your retirement savings. Most new buyers rely on monetary gifts to get into their first home. Mr. Poirier has been working with a newly married couple who are using the $17,000 they got at their wedding for a portion of their down payment. Meanwhile, the “bank of mom and dad” gifts play into most of the mortgages he does, with gifts as large as $100,000. “The baby boomers have a lot of wealth and their homes are paid for and worth $1.5- or $2-million. A lot of them are helping their kids,” says Mr. Poirier. But your lender will insist that it be an actual gift — not a loan you plan to pay back in a fistful of postdated cheques to your parents. Otherwise, the bank will calculate that private loan as part of your debt load, so you will not pass the federal government’s stress test to qualify for a mortgage. Mr. Milevsky cautions young buyers who agree too readily to cash gifts from family. “When you get money from parents, they influence what you put into that house and how you live your life,” he says. “I’d rather owe that money to the bank than to the in-laws.” Consider saving up for longer or buying something less pricey to avoid taking too large a gift. Once new buyers get over the hump of cobbling together a down payment, they have to get into the house itself. That sometimes involves more help from parents via cosigning a mortgage. “The mortgages are getting so big, some of them just don’t have enough income,” says Mr. Poirier. Then, people are coming up with a myriad of ways to make ends meet. They are renting out part of their homes, or putting them on Airbnb to bring in even more income. Even married couples are renting out rooms to friends to help pay the mortgage. Homeowners should make sure the living situation really works for them, cautions Mr. Milevsky. “They’ll lower the temperature and freeze and cut back on everything to make those payments.” Better to buy something you can truly afford so you can live comfortably. Down payment: You need at least 5 per cent down to buy a $500,000 property. Anything more expensive, you need 10 per cent of the value between $500,000 and $1-million. So, if your house is listed at $600,000, you need $35,000 down. If you have less than 20 per cent down, you will need mortgage loan insurance as well, which is a one-time cost. Mortgage: The recent stress test outlined by the federal government means that buyers must be able to afford either the Bank of Canada’s five-year benchmark rate or their lender’s mortgage rate plus 2 percentage points, whichever is higher. Right now, that means a rate of more than 5 per cent.